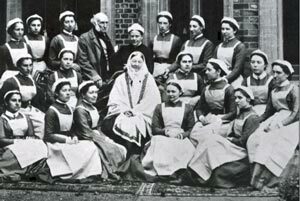 Later in 1855, Florence Nightingale was asked (with the help of her old friend Sydney Herbert) to travel to the Crimea and organise a group of nurses. Many of the initial applicants were unsuitable, and Florence was strict in selecting and training the other nurses. 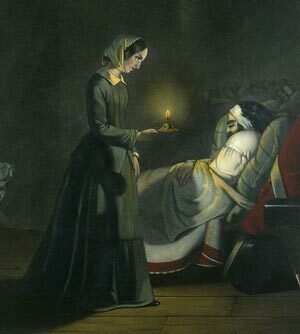 Nightingale was helped in using nurses trained by Elizabeth Fry’sschool of nurses. Nightingale was an admirer of Fry, who amongst other things campaigned for better prison conditions.